The Hitman games by developer IO Interactive are some of the best in the stealth genre, as players can approach missions in many ways, and these games reward both planning and a bit of improvisation as well. The game’s missions typically involve protagonist Agent 47, who is a hired assassin working for a shadowy organization known as the International Contract Agency, to search and terminate an assassination target, using a variety of weapons like his silenced pistol and resorting to disguises to infiltrate the well-guarded locations his target might be hiding in. And even if these games have been dismissed as “murder simulators” by some, the truth is that the series’ freeform gameplay and player choice have always made the Hitman games great fun to play. But perhaps 2012’s Hitman: Absolution was a sore point for the series, not because it was a bad game, but because it lacked player choice and its levels were rather linear when compared to earlier Hitman games like the top-notch Hitman: Blood Money. With this 2016 Hitman reboot, however, game creators IO Interactive are attempting to bring back the freeform gameplay of Hitman: Blood Money, and judging by my experience with the beta version of the game (which those who pre-ordered the game could play this weekend), this new Hitman game is shaping up to be pretty good entry in the series. 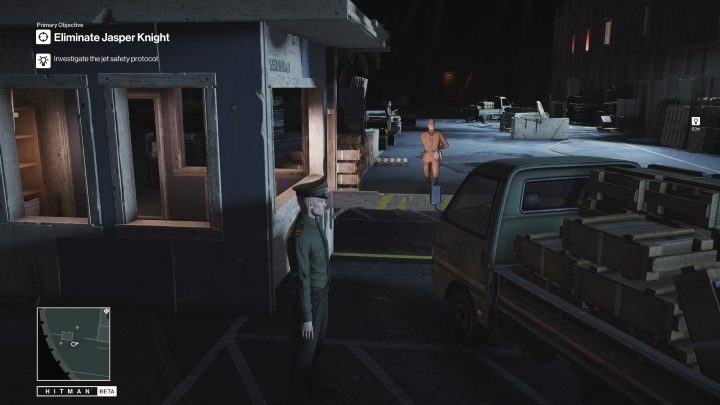 The beta offers the game’s intro and two training levels based on missions that featured in earlier Hitman games, one taking place on a luxury yacht, and the other is set in the late 70’s and requires the Hitman to infiltrate a military base in Cuba in order to take out a Soviet spy. 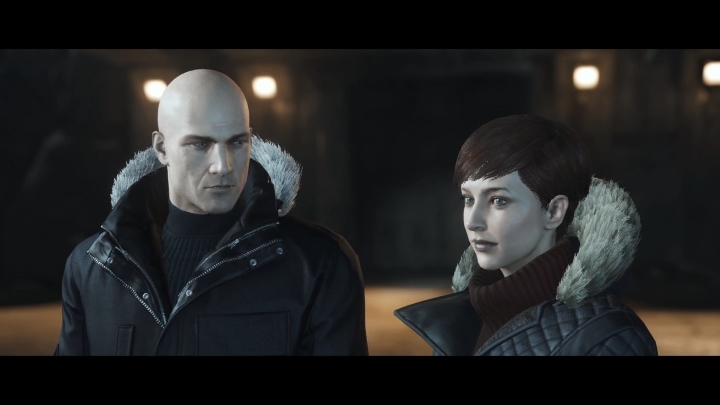 Regarding the game’s graphics, it must be said that this Hitman reboot looks pretty but not spectacular, its graphics look good enough but are not cutting edge like those seen in recent new-gen games like The Witcher 3: Wild Hunt (at least judging by the PC version I played, with the graphics detail settings set to “high”). But at least the game was largely free of bugs and did not crash once during gameplay. The two training missions in the game offer a taste of the gameplay in the new Hitman game, and thankfully IO Interactive has brought back the old “murder sandbox” gameplay which series’ veterans love so much. In the first training mission, for instance, Agent 47 has many ways to deal with his target aboard a yacht, from using poison to resorting to his trusty silenced pistol, or even letting a raft loose so that it falls on the hapless victim when he is passing below it. 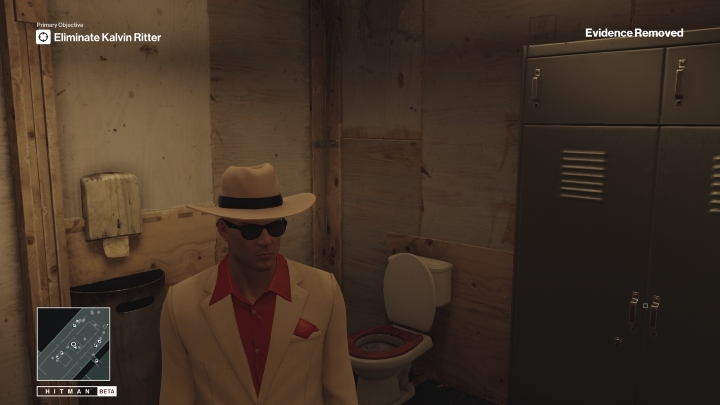 Some guards know Agent 47 is not one of them and become suspicious even if he’s in disguise. The game’s artificial intelligence is pretty sharp too, as a security guard became suspicious when he saw me dressed like security after having seen me in a mechanic outfit previously. But at least Agent 47 has a form of eagle vision like in the Assassin’s Creed games, which lets players see the target’s location and also shows an icon over the head of any character who may find him suspicious in his current disguise. All in all, it looks like this new Hitman reboot is shaping up to be a pretty game, although it remains to be seen whether the new episodic format IO Interactive has chosen for the series will end up being a success or not. Note: Hitman will be released on March 11, 2016 (first episode). Available on PS4, Xbox One and PC.